Bristol SETsquared member, BOXARR, a software development company has credited early partnerships with large corporates as key to their growth and success. BOXARR is pioneering solutions for Interdependent Systems Management (ISM); enabling customers to combat the burgeoning challenges of cross-organisational complexity to optimise their operational performance. BOXARR’s software platform enables customers to collaboratively model, visualise, process and analyse complex systems of data and information, combining disparate sources from across their business on a vast scale, reaching the depths of interdependant systems involved in large organisations. 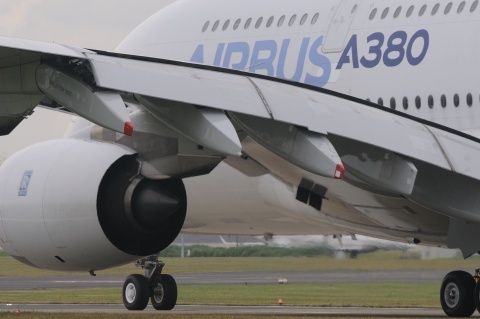 Winning an early contract with Rolls Royce to provide them with ISM capability gave BOXARR the confidence and experience of working directly with a ‘Prime’ and they have since followed this up by signing a 4-year contract with Airbus to optimise the performance of their global supply-chain. Alasdair Pettigrew, CEO of BOXARR, says: “We cannot thank Rolls Royce enough for their early support and belief in BOXARR. The value of backing from Primes in the initial stages of a venture should not be underestimated. Our experiences with and feedback from Prime-level customers can shape and enhance our solutions to the best they can be; which benefits everyone”. BOXARR has since received venture capital investment from IP Group PLC and Parkwalk Investors, enabling the company to accelerate growth over both its commercial and development teams, and expand its international footprint. BOXARR is now effectively defining the ISM solutions market with a rapidly growing list of customers, and securing contracts with blue-chip aerospace & defence companies and militaries around the world. BOXARR was also recently granted £150,000 by the AGP NATEP programme for their ‘Supply Chain Risk Analysis’ project; Horizon, developing an automated supply chain risk alert system for the BOXARR platform.